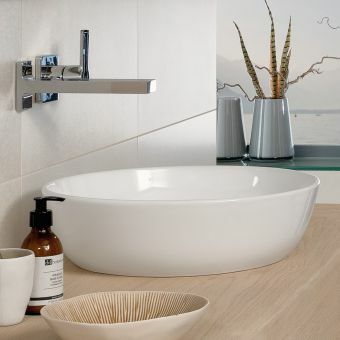 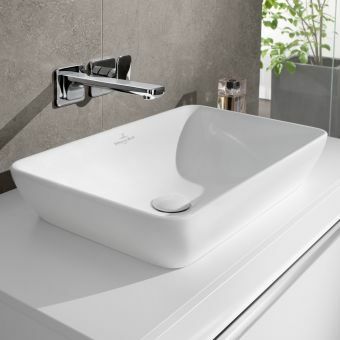 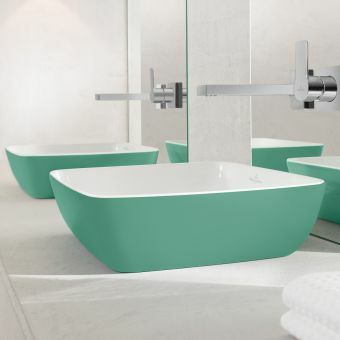 As part of the Roca designer collection of basins, the Urbi 3 Basin is one of the design triumphs. 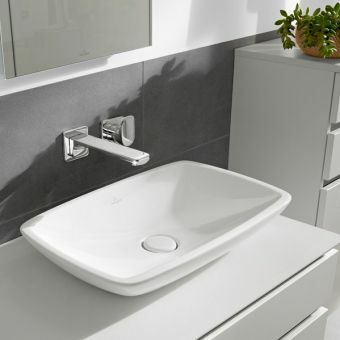 Simple, elegant and timeless, its unique curved form makes it the ideal candidate for inclusion in the bathroom that favours an open arrangement with an emphasis on light, space and a focus of design. 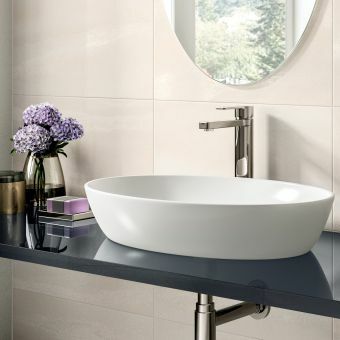 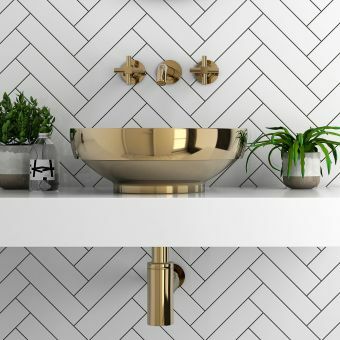 The sit-on basin design and style gives the interior a tangible sense of style and chic. 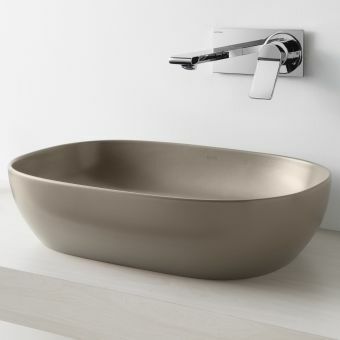 Designed to be fitted to the countertop surface, the sunken aspect of the Urbi 3 Basin brings a crisp continental feel to the interior. 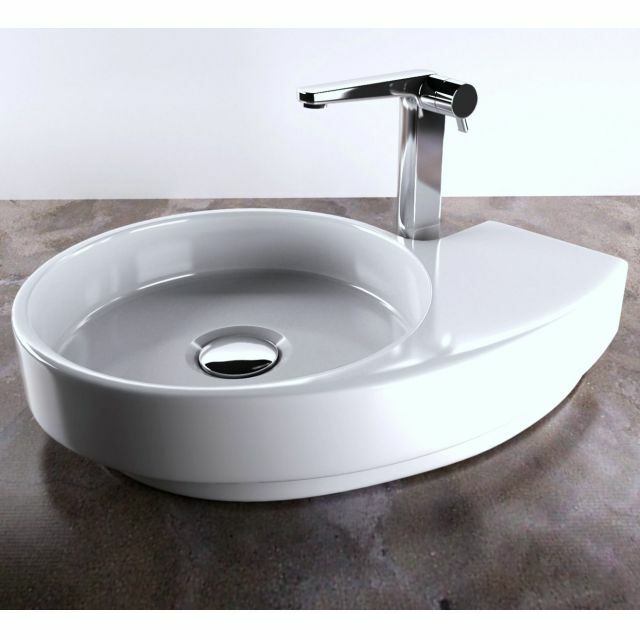 Compatible with a number of work surfaces or vanity units, the Urbi 3 Basin is readily matched to wood, marble or composites. 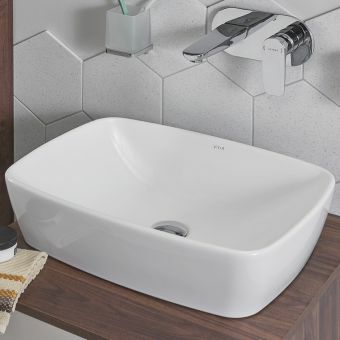 Supplied with a single, centrally placed waste hole, the Urbi 3 can be paired with a number of tall mono mixer taps or even filled via a wall mounted tap set. 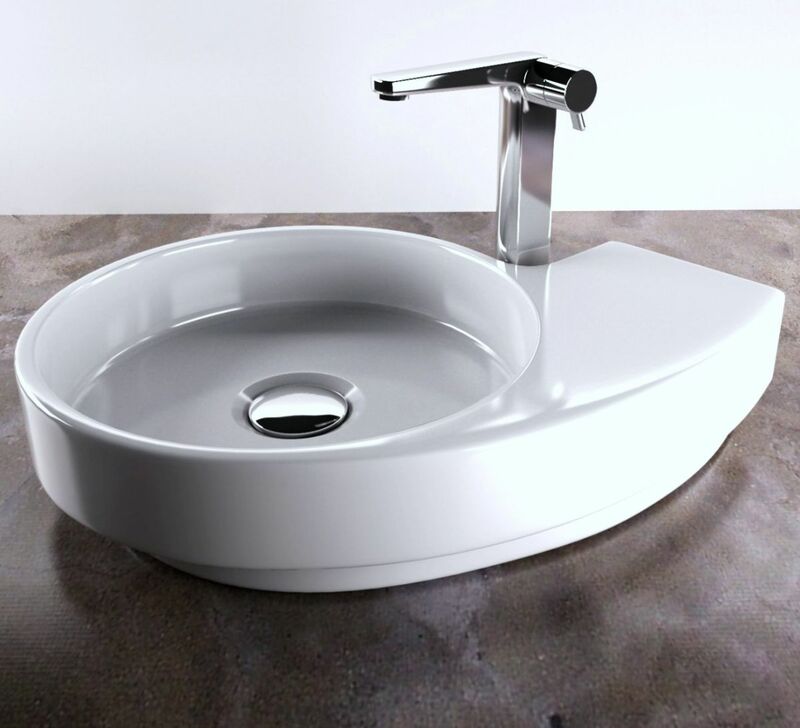 Please note that tap and waste must be ordered separately.